Alberta's finance minister says he's going to continue to raise concerns about Canada's equalization program, which the federal government has extended another five years. 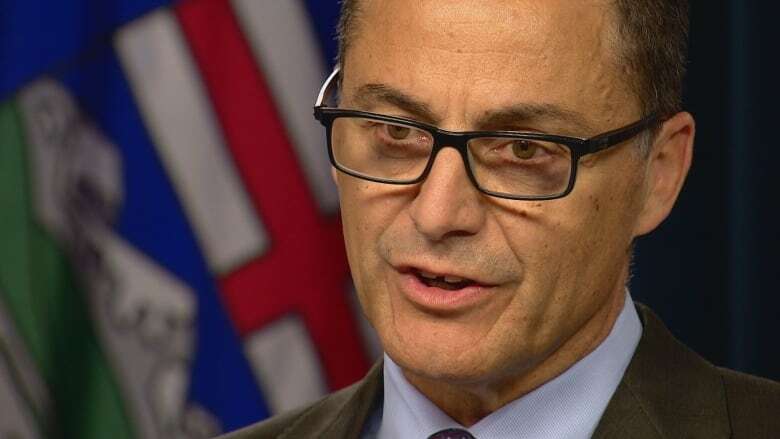 At a news conference Friday, Joe Ceci said he will state Alberta's opposition to the decision at next week's finance ministers meeting in Ottawa. This week, news broke that the Liberal federal government would extend the current equalization payment formula until 2024 — without negotiating with the provinces, several politicians have said. "I think there are problems with the equalization program that I'm going to continue to raise when I go down to Ottawa," Ceci told reporters in Calgary. Opposition MPs and several provincial governments didn't initially notice the decision, which was buried in the 584-page Budget Implementation Act. The provision was first reported by the Globe and Mail this week. The federal government, however, said the extension has been discussed with provinces since 2014. Ceci was notified about the extension in May. "Canadians expect us to work together to grow our economy and help middle class families make ends meet," the federal finance minister's spokesperson Daniel Lauzon said in an email statement Friday. "That's why after over a year of intense discussion and consultation — including an in-depth discussion at the last meeting of the finance ministers meeting in December — our government renewed equalization for a five-year term in Budget 2018." Ceci, however, said he has been consistently and clearly communicating his concerns about the program. "In December I did say that I had problems with the equalization program. In March, I said it again. May, they kind of reaffirmed," Ceci said. "And here we are the 22nd of June and in advance of going down, there are other provinces that feel similar and we are going to be raising that concern again." The federal government distributes money to provinces with lower fiscal capacities so comparable levels of services like health care and education can be provided across the country. The equalization program is funded through taxes paid to Ottawa. Some have felt Alberta has contributed too much and wasn't given a break when the province underwent an economic downturn in recent years. 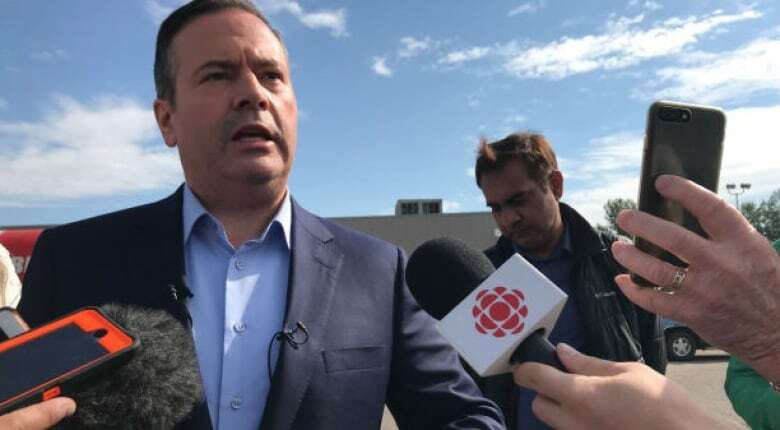 Alberta Opposition leader Jason Kenney called on the province on Friday to address what he called "an unfair equalization deal." "This is a slap in the face to Alberta," Kenney, the United Conservative Party leader, told reporters earlier Friday at a news conference in Calgary. "It means we will continue to be forced, even when times are bad in Alberta, forced to subsidize public services in other parts of the country where politicians have been trying to block out pipelines and impair our energy industry." Alberta Premier Rachel Notley has said the current system, which had been set to expire in 2019, is "disadvantaging Alberta." Kenney was a member of Parliament in the former federal Conservative government when the current system was put in place. In response to a reporter's question on his role in that formula, Kenney said his government did negotiate with provinces and made helpful changes. "I think the circumstances have changed dramatically," Kenney said, referring to Alberta's recent economic downturn. "And one circumstance that has changed, we have a political party, the party I lead, which is being much more forceful frankly than the previous [Alberta Progressive Conservatives] were." "I don't understand why Rachel Notley's government has been so passive on this," he said. In past comments, Ceci has also said the calculations have "not worked for Alberta, even during the depths of our recession" and promised to raise the issue at next week's finance ministers' meeting. In an opinion piece Friday, Calgary political scientist Trevor Tombe said that despite the recession, Alberta's economy remained the strongest in Canada. "At bottom in 2016, Alberta's GDP was nearly $73,000 per person — higher than any other province and much higher than the national average of $56,000," he wrote. "No reasonable formula meant to equalize would transfer scarce dollars to the highest income province." He also said that as the decision was a done deal, it closes the doors for negotiation and solid proposals for alternatives to the controversial equation. Kenney is proposing a referendum on equalization and that Notley should follow the lead of Saskatchewan Premier Scott Moe. On Wednesday, Moe pitched a proposal that he said would fix the system, specifically by cutting the equalization program in half and distributing savings to all provinces based on population. Other premiers, including in Newfoundland and Labrador, have also expressed dissatisfaction. Kenney said he and others find the lack of negotiation "shocking," and accused Justin Trudeau's government of acting in bad faith. In its statement, the federal government said the suggestion of no consultation "is simply untrue." But the Alberta finance minister said he was surprised by the announcement. "What I'm not surprised about is they continue to not address the concerns that Alberta and other provinces have," Ceci said. The federal Finance Department meets with provincial leaders on June 26 in Ottawa. An earlier version of this story said Alberta funds the federal equalization program. In fact, taxpayers do. P&P Explainer: How do equalization payments work?